This months newsletter is to give customers on our mailing list advance notice that we are offering 50% off our family hammocks from 16th April to 23rd April. 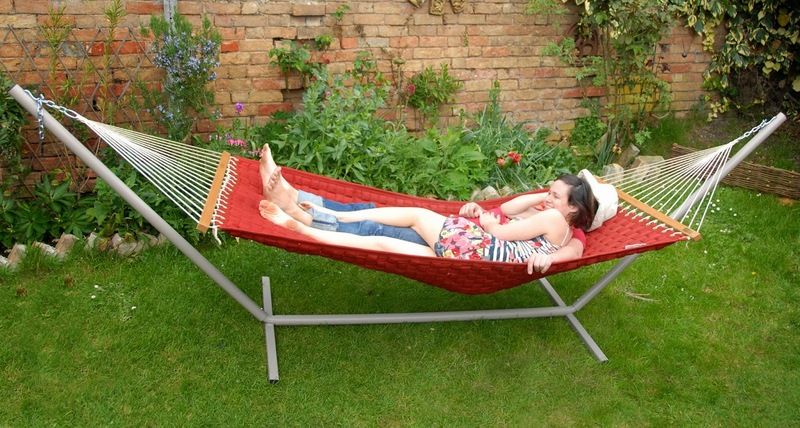 Newsletter receivers can actually buy these half price hammocks on the 15th April also. It’s a great opportunity to get a fantastic and big hammock for half price. Sleeping in a hammock is becoming ever more popular. Many people are removing their beds in favor of a hammock. I did the same thing and I’m happy I did. Only campers and hippies formerly shouted from the rooftops, I had the “best sleep ever!” More and more non-campers and non-hippies are enthusiastically touting the benefits of hammock sleep. But, what does the scientific and medical community say about hammocks? Research, neglected for decades, has only recently been done to examine the truths about hammock sleeping. To date, scientific and medical research confirms what ancient societies already knew. Central American anthropologists have discovered that ancient societies favored hammocks from a minimum of 700 years ago. Even famous explorer Christopher Columbus, after he found the Bahamas, loved “sleeping in nets between trees.” Historians note that the first hammock probably was invented by the Greeks around 450 B.C., which is many, many years before Columbus sailed to the Bahamas. The legendary Maya people called their hammocks, “the gift of the Gods.” Most people, even scientists, previously assumed ancient civilizations chose hammocks because they were off the ground, away from dangerous spiders and snakes, or pesky stinging ants. These uneducated civilizations may have embraced other reasons, however. Since scientific studies have now discovered long-touted benefits of hammock sleeping, other people are taking hammocks more seriously. As always, there is (has never been) no perfect product, so hammocks deliver many benefits with only one major potential downside. You will fall asleep faster; You will enjoy the health benefits of deeper sleep; You’ll have better ability to focus the next day after a restful hammock sleep; You will improve your reading skills; Generally, you’ll increase your learning skills; You may find your back pain disappears; The gentle rocking motion has proven to make you “sleep like a baby;” and You’ll not need to contend with the dust mites common to mattresses. Con (only one catalogued downside) Hammocks may hurt your romantic life, as hammocks shine when you’re sleeping “solo.” Even if you and your partner are “cuddly” types, few people enjoy sleeping when “joined at the hip.” Even two person hammocks may push the envelope when your partner is a light sleeper. Try It, You’ll Like It As you can see, the benefits of sleeping in a hammock seriously outweigh the one downside. Consider trying a hammock for a nap or for a night. A trial should convince you of the hammock-sleep benefits you get. If you believe your mattress caused you back pain, since hammocks often relieve back pain, what have you got to lose except your back pain? The measured increase in brain wave activity from a 2011 university study (University of Geneva in Switzerland), also improves your memory and learning ability. While there are scientific conclusions supporting the improved sleep quality you would receive from a hammock, there is only one way for you to prove it to yourself. Give hammocks a try and see what you’ve been missing. You may refuse to miss these benefits in the future. We often hear the question: Should I consider a hanging chair in lieu of or in addition to a hammock? The best answer: Yes, you should consider a hanging chair as a replacement for or, if you already enjoy a hammock, as a complement to your hammock. Hanging chairs are highly versatile and complement your yard and/or the interior of your home. While some people prefer fabric chairs, others, particularly if installed indoors, sometimes prefer hanging chairs with more rigid frames. Here are popular reasons to consider getting a hanging chair as well as a hammock. You may prefer a hanging chair to a hammock.Some people report they are equally or even more comfortable in fabric hanging chairs than in hammocks. When you want to surround yourself with your spouse and kids, a hammock chair is perfect. If you have kids, be aware that children absolutely love to sit, lie, and play in hanging chairs.Kids love hanging chairs. They like to sit in them, “cocoon” in them, and get in them. They find it easier to get in and out of hanging chairs than some hammocks. Since kids seldom stay relaxed for too long they typically appreciate the ease of getting in and out of hanging chairs. You can “float around” in fabric or rigid frame hanging chairs offering similar relaxation to hammocks.The same gentle rocking motion common to hammocks also exists with a hanging chair. Scientists have proven it’s this gentle swaying that promote excellent, healthy sleep. If you love to read, a hanging chair is ideal for focusing on the book you’re reading as well as relaxation.You’ll be amazed at how focused and relaxed you’ll feel in a hanging chair when you’re reading. You typically will enjoy your book or magazine even more than you normally do. If you already enjoy your hammock, you should equally enjoy the gentle swaying motion of a hanging chair.If you love the gentle rocking motion of your hammock, you will equally love a hanging chair, as it offers the identical rocking as your hammock does. A wonderful addition to a bedroom or family room, a hanging chair is a great way to maximize your comfort while watching TV movies or live sporting events.Hanging chairs are ideal for indoor or outdoor use. Along with being super comfortable, they allow you to enjoy TV and games in supreme comfort. An indoor hanging chair makes a bold statement to any décor.Once in fashion, then out of fashion, hanging chairs are back as high-fashion additions to your home décor. They always make a statement. Since they come in many colors and designs, you’re sure to find an ideal complement your décor. Whether you consider a hanging chair as an alternative to a hammock or addition to your hammock, you will be pleased with the look and comfort of these chairs. When you want to read, watch TV, or take a short nap in total comfort, consider adding a hanging chair inside or outside your home. 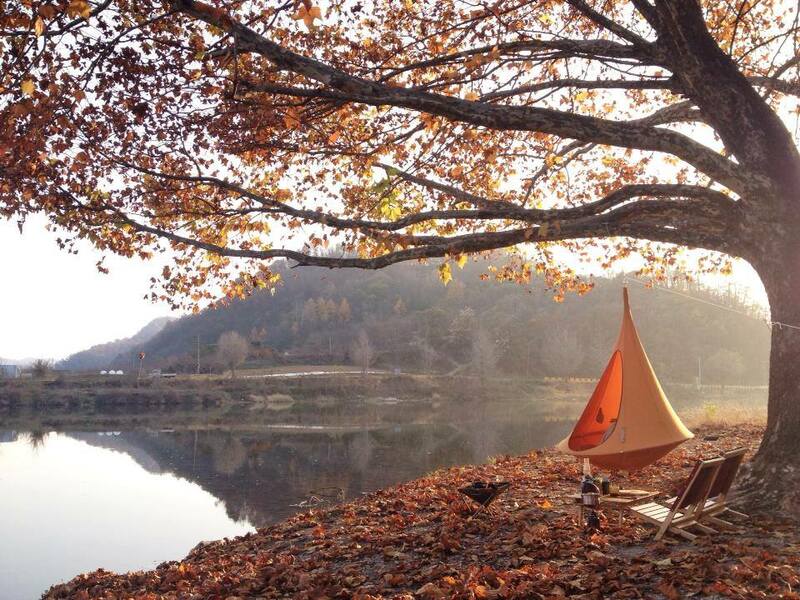 You can order hammocks between now and New Year’s, but we will ship them on 4th January. Everyone needs a few days to chill from time to time! Our warehouse is currently closed, but our customer service and phone lines are open. Call 02081230557 in working hours, or email any time. We hope you don’t mind, and HAPPY NEW YEAR. We have just sent out 4000 of our shiny new hammocks catalogues. It includes a couple of discount codes for our other sites www.mypashmina.co.uk and www.TheRealRugCompany.co.uk. Cacoon is the new hangout chillout space, the new hanging chair, the new concept for relaxation and simple fun. Check out this honest video review. I think this is a really great space to relax in, maybe even camp out in. Great fun for the kids, or as a hideaway where you can be forgotten for a while to read a book. The Chilli Deck Set is the perfect place to cuddle! Big enough for 2 adults, it always has room left for the toddlers to squeeze in. So easy to set up if you want to pack it up for the winter, but fancy enough for your living or relaxation area. Buy it now for just £114.95 and remember it is free shipping within UK! The Palmera hanging chair stand has long been a favourite option for those who don’t want to drill in to the ceiling and also don’t want to use up valuable floorspace with a free standing hanging chair stand. For 2012 we have improved this stand by changing the finish. It now has a rockstone finish which is a dark dimpled metal, rather than the smooth white finish of the previous version. We think that this looks better in most situations (it is a good quality item and it should look like that). So if you have a wall, and you want a hanging chair, then the Palmera Rockstone hanging chair stand is for you! It costs only £73.21 …. our competitors sell it for at least £79.99 and many are selling it for over £100 !